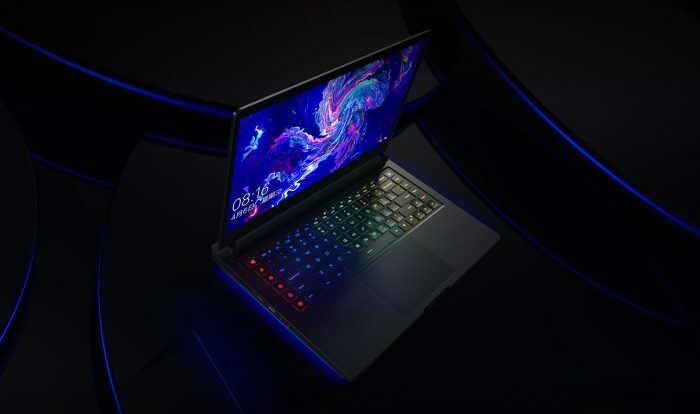 For the past week, Xiaomi had been teasing the release of a new product in partnership with Intel at China Joy and we speculated the company to refresh its first-ever gaming laptop, the Mi Gaming laptop, that was launched earlier this year. 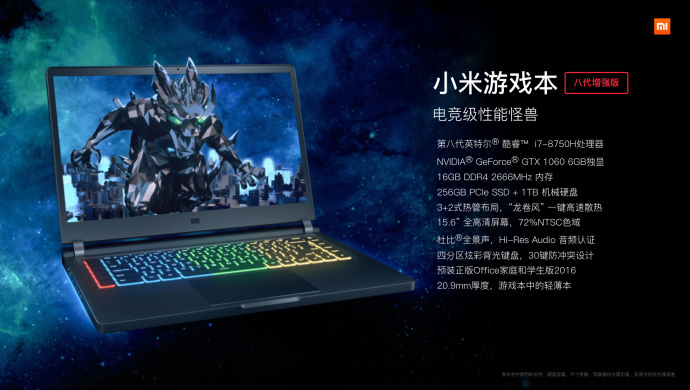 Well, the Chinese giant has given us just that by updating the internals on the original Mi Gaming laptop with the addition of the latest 8th-gen six-core Intel Core i7 chipsets. This is the only major change in the new Mi Gaming Laptop in comparison to its predecessor, which was powered by Intel’s 7th-gen chipsets. The refreshed Mi Gaming laptop, which has been dubbed the ‘e-sports performance monster’, will now be powered by the 8th-gen Intel Core i5-8300H (four cores, eight threads) and Intel Core i7-8750H chipset (six cores, twelve threads). The upgraded internals on the higher-end variant is said to improve the system performance by 31.7%, performance of office apps by a huge 76.7% and that of heavy designer apps like Photoshop or Sketch by a whopping 92.2%. The new 8th-gen Intel chipsets are still coupled with the built-in NVIDIA GTX 1050Ti and 1060 graphics memory that were included in its predecessor. There’s no change on this front, as well as the memory and storage department, which brings along 16GB dual-channel DDR4-2666 high-speed memory, 256GB PCIe solid state drive (SSD) and 1TB of a mechanical hard drive. Coming to the aesthetics, Xiaomi has carried forward the same minimalistic and stealthy design of its predecessor, especially the subtle Mi branding. You still get the ambient light chassis and the full-size four-zone backlit keyboard, along with the macro keys, and the massive air vents at the bottom. Xiaomi’s Mi Gaming laptop features a 15.6-inch display with thin bezels that ensure that the screen-to-body ratio approaches 81%. It has an NTSC color gamut of 72 percent, a wide viewing angle of 178 degrees, and an anti-glare screen.